Fun in the sun and on water can end quickly if you've had a boating accident. 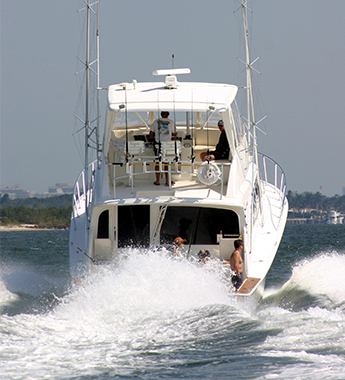 Our boating accident attorney in Garland, TX, represents clients who have been injured or killed in boating accidents. When you or someone you love has been injured in a boating or diving accident, contact Williams & Thorson, LLP for zealous and prompt legal representation. We are extremely knowledgeable about the complexities of maritime law. Let our experienced and compassionate commercial boating accident attorney provide a free consultation. We'll assess your needs, investigate your claim, and explain how we can effectively build your case. Our goal is to help you receive compensation as quickly as possible. When you are injured in a commercial diving accident or while working on a boat, rely on us to fight for the compensation you need. In fact, your employer's insurance company will want to minimize any settlement you receive. You need an experienced commercial diver injury attorney who is skilled at effectively taking on any large insurance companies. Our team aggressively navigates the system and thwarts the tactics used by insurance companies and employers. Don't settle for less if you've been injured on a dive. As a trustworthy and experienced commercial diver accident lawyer, we work with you to determine an agreeable solution. We have an excellent track record of successfully mediating and litigating diving accident cases. Our goal is to minimize any impact the injury has had on you and your family. Contact us if you're a commercial boater who has been injured on the job. We proudly serve clients throughout Garland, Mesquite, Rockwall, Richardson, and Balch Springs, as well as the DFW Metroplex.